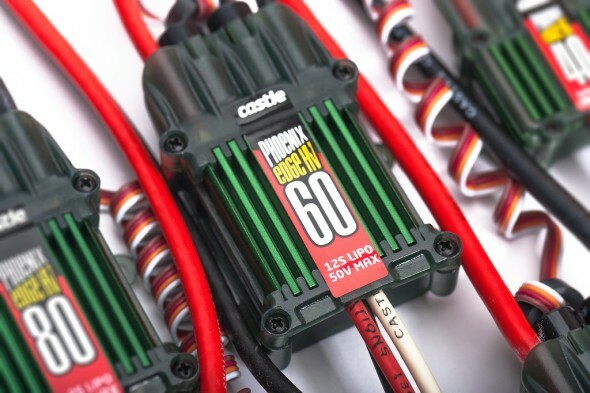 There is not very much detailed information posted about this new series of Edge speed controllers from Castle Creations but it looks as if the new series will have a selection of HV(up to 12S) models and a selection of standard models (up to 8S) too. Ampacities of the new Edge HV series are 40 amps, 60 amps, 80 amps, 120 amps and 160 amps. The 8S powered controllers will be available in 50, 75, 100, 130 and 200 amp models. Previous Notable Price Drops on Select Axe Helis!